Actually, Marxism is not a theory of crisis. Marxism has a theory of crises, but that is not the same thing. But, even if we let that pass, what Paul should have said is that the theory of crisis, which has been presented as Marxism, is flawed. In the previous chapter, Paul set out the reason that Kondratiev found himself at the wrong end of a firing squad was that his theory contradicted the Stalinist dogma that capitalism had become absolutely reactionary, incapable of further development, and was in the process of imminent collapse. But, that has nothing to do with Marx's analysis of capitalism, or his theory of crises. However, the conclusion that Paul draws is absolutely correct. The catastrophist interpretations of Marx, the concepts of top-down revolutionary change, and abolition of the market, promoted by increasingly irrelevant sects that Paul and I once belonged to, paralyse current actions, and solutions, and were they to attract any support, threaten, at best, to lead today's youth once again down a dead end, and at worst could impose on them some of the horrors of the past. But, Marx was certainly aware of previous adaptations. His analysis, after all, deals with the biggest adaptation of all, the genesis of capitalism out of feudalism; it deals with the adaptations from merchant capital, from small-scale, handicraft capitalism and manufacture to industrial capitalism, based on machine production; it deals with the transformation of small industrial capitals into big industrial capitals, whose monopoly itself forms a fetter on further capitalist production, a fetter that is “burst asunder”, by the rise of the big socialised capitals, in the form of the co-ops and joint stock companies, which carry out an “expropriation of the expropriators”. Marx most certainly did witness this last adaptation, as private capital gave way to socialised capital, and, with the passing of the Limited Liabilities Act, in 1855, it was an adaptation that rapidly took hold in the period after 1865. It created the basis for Marx to describe these new large socialised capitals as the transitional forms of property, between capitalism and socialism. Once again, rather a significant adaptation. Paul gives a summary introduction to the labour theory of value, and the determination of an average rate of profit. But, he fails to mention that this average rate of profit is inconsistent with prices determined by the labour theory of value. His statement that firms create a “discernible average rate of profit in each sector, and in the whole economy, against which they set prices and judge performance”, is also not clear. It appears to replicate the view and confusion of Ricardo. As Marx demonstrates, there is no average rate of profit within any sector, because different firms within the sector operate at different levels of efficiency. There is a single market value, or price of production, for the commodities produced in that sector, but it is precisely because each firm has to sell its output at this common price that those of them that are more efficient enjoy a higher than average rate of profit, and those that are less efficient obtain a lower than average rate of profit. Only on that basis can there be an average rate of profit for the sector as a whole, equal to the average for the economy as a whole. but doesn't seem to connect this as itself being a consequence of an adaptation of capitalism, which can only arise as a consequence of the development of socialised capital, of the fact that, with the development of joint stock companies, and particularly limited liability companies, big private capital becomes exclusively money-lending capital, by which should not be understood banks and financial institutions – which are themselves socialised capitals – but the individual shareholders, bondholders and so on, and the form in which they hold their wealth is then in the form of these shares, bonds, financial instruments and property - fictitious capital - not real productive-capital. And, understanding this is crucial to understanding the relation of Marx's theory of profit, and of crisis, to the periodicity of the long wave. Its not Marx's law of falling profits, or the exhaustion of the countervailing tendencies that leads to crisis. Quite the opposite. It is the crisis itself which makes it necessary for capital to seek out new technological solutions. It is the fact that labour supplies are exhausted, so that no additional absolute surplus value can be produced, and which has resulted in rising wages squeezing profits, by a reduction in the rate of surplus value, which makes it necessary to develop and introduce new labour-saving machines. It is that introduction then of those machines which raises productivity, and thereby raises the proportion of processed material to labour, raising the organic composition of capital, which sets in play Marx's law of falling profits. It likewise brings about the desired fall in wages, as a relative surplus population is created, and as capital accumulation then proceeds on the basis of this intensive accumulation, and relatively less labour employed, economic growth slows and stagnates. The same drive to reduce costs leads to a drive for new technologies to cheapen the production of fixed capital, to make more efficient use of raw and auxiliary materials etc. This creates the basis for a reduction in the value of constant capital, significant for the next upswing. It provides the base technologies that are incorporated in the new consumer industries that are the means by which the market is expanded internally. 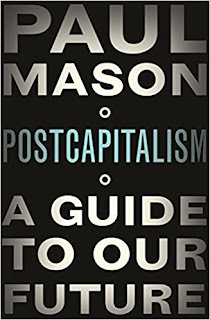 For long periods, as Marx says, capital expands essentially on the basis of the existing technologies. Only organic, incremental changes are made. My Dad worked as an engineer in car factories across the Midlands, in the late 1930's/early 1940's. He told me that the lathes and milling machines he worked on in engineering shops, in the Potteries, in the 1970's, were the same as, in some cases not as advanced as, the ones he'd used thirty years earlier. The concept about machines replacing labour is also largely misunderstood, because Marx makes clear that this does not apply only to the actual workers who might get displaced, but also to the potential, theoretical workers who actually never existed. As described earlier, and as Marx points out, if £1,000 employs 1 worker, who produces £100 of surplus value, then, on the basis of the same technology, £3,000 of capital can employ 3 workers who produce £300 of surplus value. It may be the case that the £1,000 of capital includes a machine that enabled the 1 worker to do the work that 2 workers did previously. So, it has actually displaced a worker. Theoretically, each additional such machine displaces a worker who might otherwise have been employed. But, practically, each such new additional machine results in the employment of one additional worker who previously did not have a job. 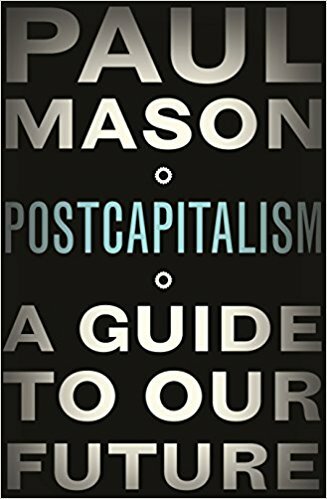 So, the roll-out of any such new technology, as an accumulation of capital (extensive accumulation) rather than simply a replacement of existing technology (intensive accumulation) results in an absolute increase in the mass of simultaneously employed labour, and thereby in the mass of surplus value. To the extent any such technology reduces the value of labour-power, it raises the rate of surplus value, and so again raises the mass of surplus value. To the extent it reduces the value of constant capital, it raises the rate of profit, and to the extent it increases the rate of turnover of capital, it raises the annual rate of profit. The problem arises not on the back of Marx's law of falling profits, but, as he sets out, on the basis that existing supplies of labour start to run out. Workers can only work a certain amount of overtime, there are only so many married women, immigrants and so on who can be brought into the workforce. So, there is a limit to how much absolute surplus value can be increased, and given the existing level of technology, it is impossible to reduce the value of labour-power, so as to increase relative surplus value. So, competition for labour pushes up wages, profits are squeezed, and crises arise.